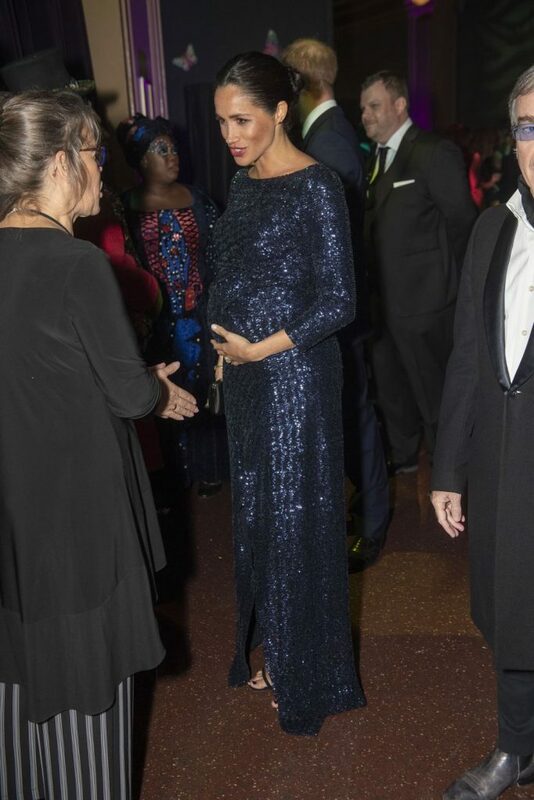 The Duchess of Sussex made her second royal engagement of the day this evening, stepping out in head-to-toe sequins for the premiere of Cirque du Soleil’s Totem. 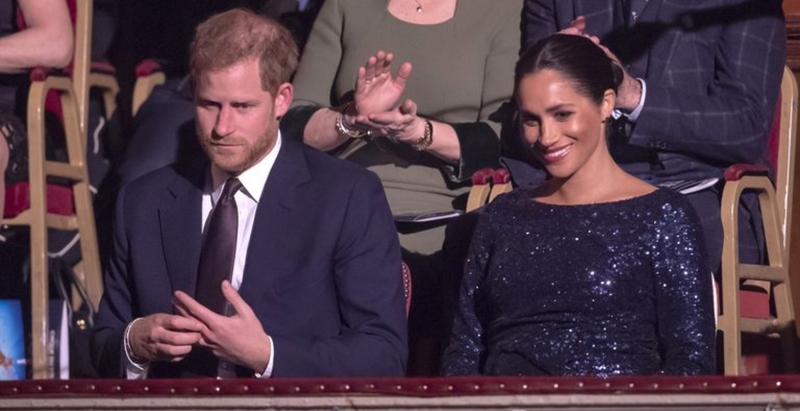 Meghan was accompanied by Prince Harry for the event at the Royal Albert Hall. 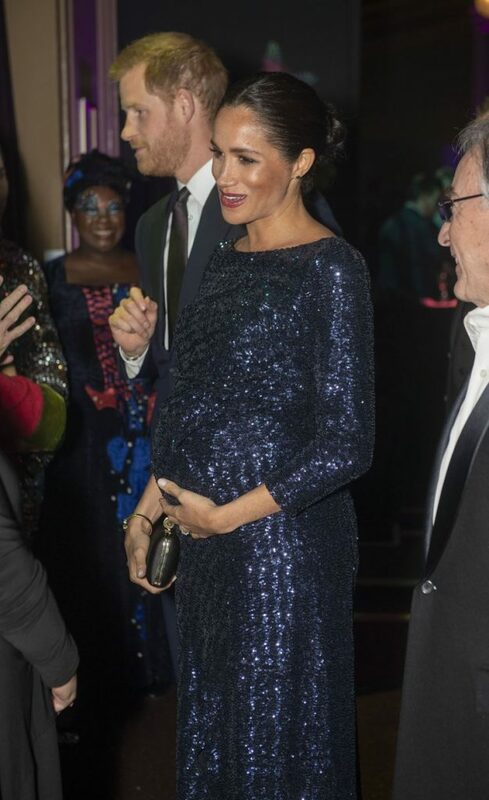 The former actress opted for her most glamorous maternity look to date, in a navy blue sequinned dress by her designer friend Roland Mouret. 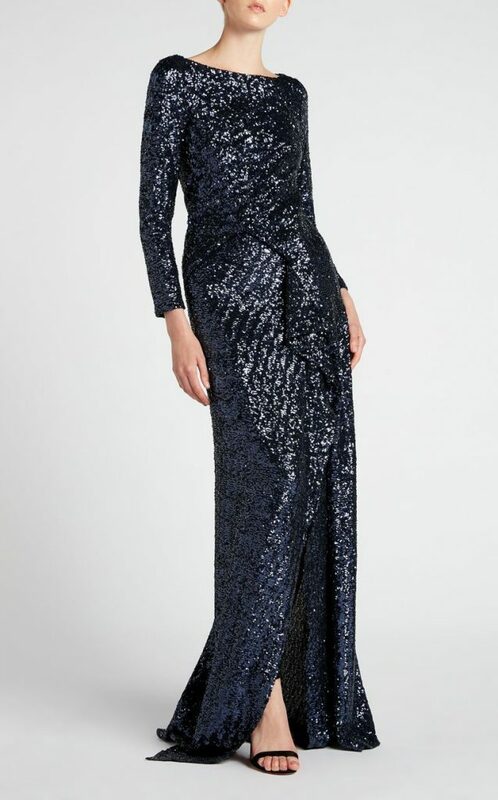 The elegant gown featured long sleeves, a boat neckline and a split skirt, revealing her simple strappy Stuart Weitzman sandals. She added a classic black Givenchy clutch and a gold bangle that once belonged to Princess Diana. The duchess wore her hair slicked back into a sleek bun, finishing the look with a smoky eye and deep red lipstick. 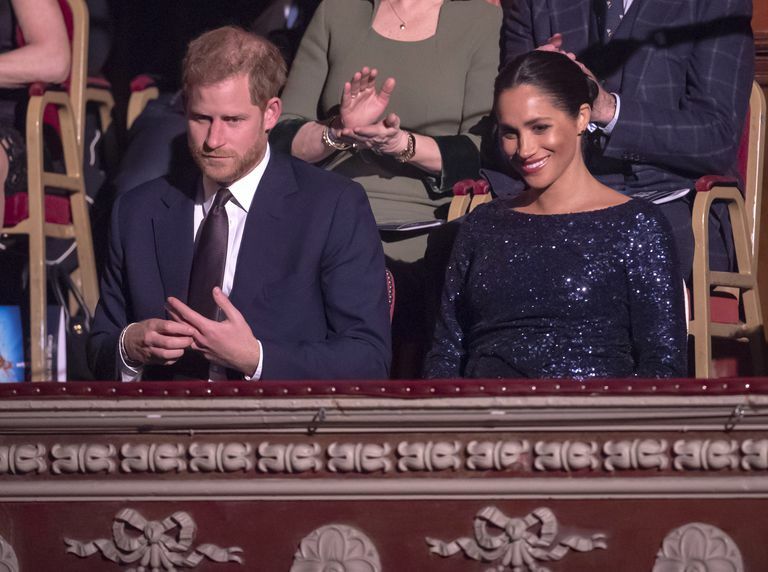 The special performance was organised in aid of Prince Harry’s charity, Sentebale, which supports children and young people affected by HIV in southern Africa. Ahead of the show, the royal couple slipped backstage to meet some of the cast and crew. Earlier today, the Duchess of Sussex paid a visit to Mayhew animal charity,one of the organisations for which she is now a royal patron. It’s set in London like all good Christmas romances should be.